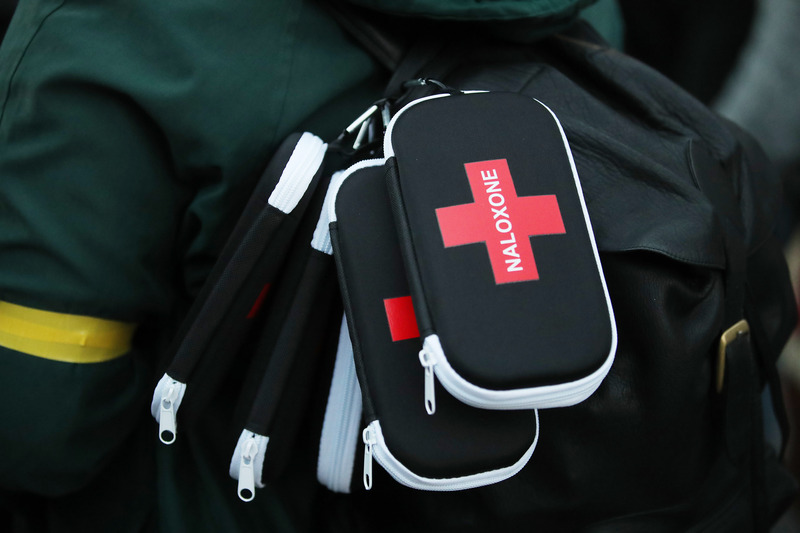 Enlarge / If approved, Purdue’s new drug would compete with opioid overdose antidote, naloxone. Deaths from the extremely potent fentanyl began spiking nationwide in 2013. In 2017, synthetic narcotics (mainly fentanyl) were behind roughly 40 percent of the more than 70,200 overdose deaths in the country. The abrupt rise of fentanyl use and overdoses followed a quadrupling of use and overdoses from prescription opioids, such as OxyContin. As the crisis came to light, opioid prescribing leveled off and began declining in 2012, leading to the rise of illicit fentanyl and heroin use. Amid the crisis, Purdue has been fiercely condemned for initially downplaying the addictiveness of OxyContin, which it began aggressively marketing in the mid-1990s, earning the company billions of dollars in sales. In 2007, the company and three executives pleaded guilty in federal court to criminal charges that they deceived doctors, patients, and regulators over the addictiveness of the drug. Since then, Purdue has been pummeled by lawsuits blaming the company for helping to spur the rise in opioid abuse and overdoses. The company has vigorously defended itself against the claims but is now considering filing for bankruptcy, which would soften the blow of litigation and judgments. I recognize everything we do will be criticized in this regard, but in the end we’re going to do what’s right. These are good things that could and should have a positive impact on public health and on patients. Still, according to internal discussions at Purdue that were made public in a lawsuit brought by the Commonwealth of Massachusetts, Purdue and members of the wealthy Sackler family that owns the company had carefully researched the money-making potential of treatments aimed at reversing the epidemic.